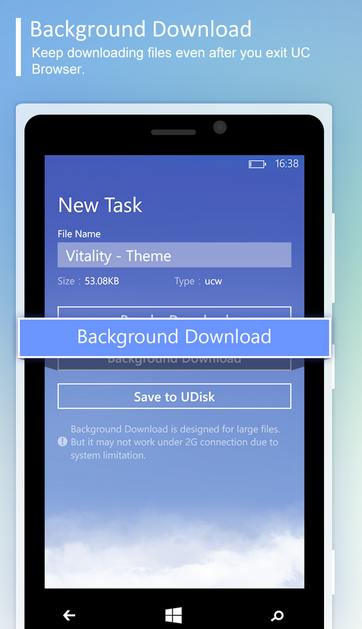 UCWeb has released UC Browser 3.2 for Windows Phone which includes a very handy feature of Background download support. Other changes include improved UI, optimized Preloading, UDisk branded cloud storage service and more. The background download support lets you download files on your system even after you exit browser. Also if your downloaded gets interrupted due to various reasons including unstable data network while travelling, you can resume your download without any loss. However this feature won’t work properly on a 2 G network. Enhanced download management system allows you to categorize your downloads in an organized manner so that you don’t have to look too hard for what you want. 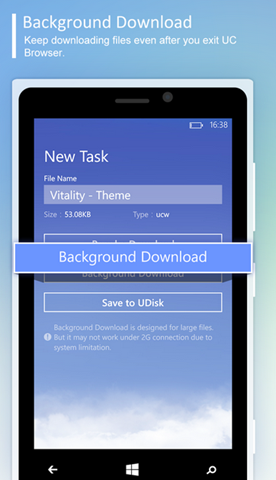 The UDisk allows you to directly download files on the cloud in case you have limited storage. You will get up to 6 GB(2 GB permanent + 4 GB Temporary) of storage space on the Cloud. 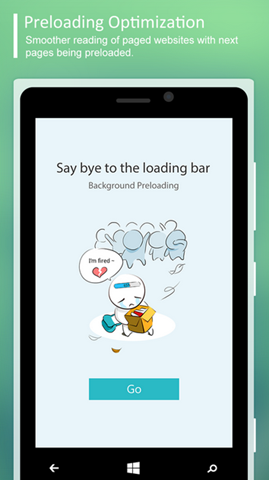 The Optimized Preloading option allows pre-emptive download of WebPages for seamless transition when you jump from one page to next. While you finish reading one page, the other is already downloaded on your device. 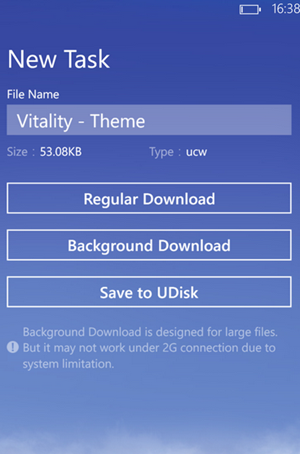 UC Browser is a popular App on Windows Store and supports more Gestures than Internet Explorer does, for instance, swipe right to go back a page or left to go forward instantly without refreshing the web content. It also offers you various reading modes according to the Ambient light conditions. Windows Phone users can download this phone from WP Store (for both WP8 and 7.x). Dear sir, one of my friend wants to buy nokia 720. I have justed him to wait for just 1 month till motorola new phone moto g comes to india.plz confirm me wheather this will be a good move or not?confusn betwn android and windos.bcz i heard that we cant send any video file through bluetooth in windos.is it true?plz help me. Moto g looks like a promising device, yes you cant do this in windows phone but you can send photos via bluetooth as if now.